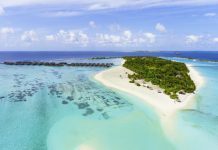 Gabor, HA3JB will be active from Hulhumale Island, Maldives as 8Q7IP during September 19-30, 2018. QRV on 80-10m CW, SSB, RTTY, FT8. Participation in the CQWW RTTY Contest. QSL via H/c.